Fly the flag with your own personalised mug. This 10oz enamel mug has a stylised St.George's flag and can be personalised with a name of up to 15 characters. Dimensions: 8cm tall and 8.6 cm diameter. 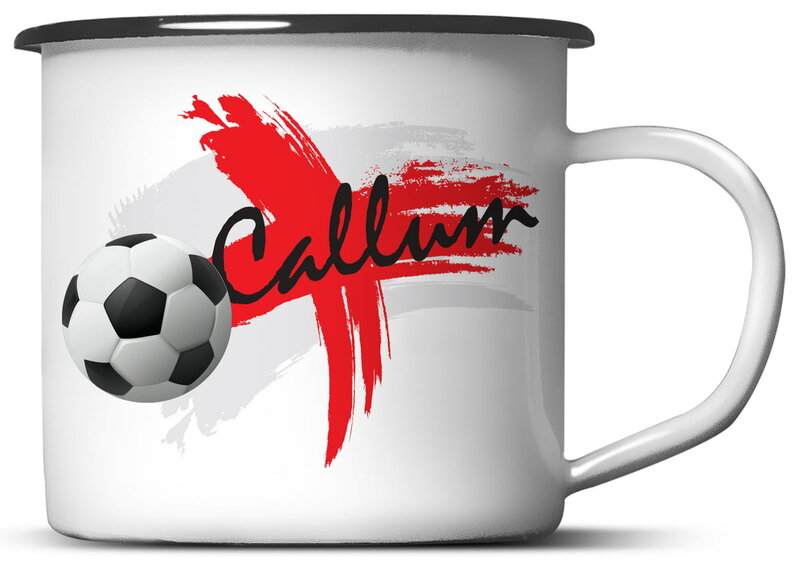 Personalise this rugby themed 10oz enamel mug with a year and a name of up to 15 characters. Personalise this golf themed 10oz enamel mug with a year and two initials.